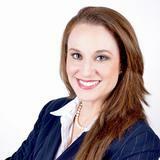 Miki McCarthy is your Rio South Texas REALTOR® focused on residential & commercial sales for Just Realty RGV. Licensed since January 2013, Miki is committed to exceptional service by providing the best for her clients. Whether listing to sell your home, assisting a buyer through the pre-qualification & house hunting process, or negotiating the terms to your next business lease, Miki has comprehensive knowledge that extends beyond real estate. For the past five years, McCarthy has invested in establishing a successful real estate portfolio of listings & maintains track record of closed transactions. She is well known for her economic & community development experience as the Executive Director for the San Juan and Alamo Economic Development Corporations in addition to serving as Board President for the Pharr EDC. She was a foundation member and past Board Chair of the Rio South Texas Economic Council. McCarthy was instrumental in the attraction of Mercedes Benz, Audi, Land Rover & Jaguar full service car dealerships to the City of San Juan along with many other retail businesses creating well over 200 jobs. In her tenure, she has negotiated the development of over 240,000 SF of manufacturing/warehouse space. She has a background in business having co-owned OsCorp Construction & Development, Inc. and Java Jo Café among others. Most recently, McCarthy was appointed to serve on the Planning & Zoning Commission for the City of Edinburg. She is a member of the National Association of REALTORS® (NAR), the Texas Association of REALTORS® (TAR), and the Greater McAllen Association of REALTORS® (GMAR). She actively serves on the Budget, Public Relations & Membership Committees for the GMAR. She recently completed service of five years as Vice Chair for the Tobacco Prevention & Control Coalition serving Hidalgo County. McCarthy has a Bachelor of Arts (2002) and Master of Arts (2010) in Speech Communication from University of Texas – Pan American. She is mother to five boys, a dog named Duke & cat named Guero. I confirm that I worked with Miki McCarthy in the buying or selling of this property.